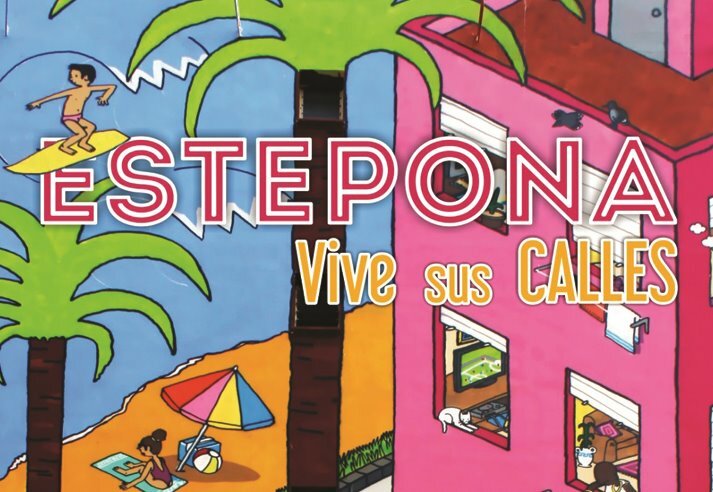 Estepona presents the seventh edition of ‘Estepona lives its streets’, an event that will offer thirty free cultural and leisure activities aimed at people of all ages. 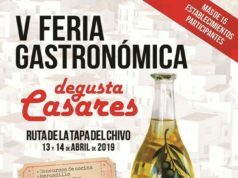 The event, which this year will take place from March 29 to 31, was established with the aim of publicizing the great renovation that has taken place in the old town of Estepona, as explained by the councillor of the Sociocultural and Services department, Blas Ruzafa. In addition the event will generate an important social, cultural, commercial and leisure activity before Holy Week, which will have a positive impact on businesses and establishments dedicated to leisure and catering. On the other hand, youngsters can enjoy an original gymkhana organized by the radio station ‘Los 40 Principales’ which will be held on Saturday the 30th, at 5 pm, in the Plaza Antonia Guerrero. Also, from Friday to Sunday there will be the VI Exhibition Expotatoo in the Palacio de Congresos. Finally, ‘Estepona lives its streets 2019’ will be completed with other events such as ‘The Concert of the Flower’ by the García Fajer Foundation (Sunday 31, at 6 pm, at the Casa de Las Tejerinas), the concert of pasodobles de the Municipal Band of Music (Sunday 31, at 1 p., in the Plaza del Reloj), a soul and funk concert of ‘The Harlettes’ (Saturday 30, 9 pm, at the Ortíz square) or the screening of the film ‘The Angel of the Clock’ for the benefit of AVOI (Friday 29, at 7 pm in the Padre Manuel Cultural Centre). From 12 noon to 10 pm, Palacio de Congresos. VI Expotatoo Estepona. From 10 am to 1.30 pm, Plaza Antonia Guerrero. VII Interschool Chess Tournament for Teams and VII Interschool Secondary and Baccalaureate. 7 pm Padre Manuel Cultural Centre Cinema: “The Angel in the Clock” by Miguel Ángel Uriegas. A movie that supports the investigation of childhood cancer. Entry: “Pay after show” for the benefit of AVOI. 7 pm, Plaza de los Poetas Andaluces: Tribute to Seville poet Rafael de León, by the Municipal Theatre Group “Farándula”. 8 pm: Start of the X Tapa Route through the Historical Town Centre (Friday, Saturday and Sunday). Pick up your Passport at the Tourism Office and participating establishments. 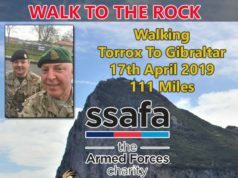 Prize: Choose the Best Tapa for an entry into the prize draw. You can deposit your Passport at the Tourist Office in the Plaza de las Flores until 2 pm on Monday 1 April to enter. The Town Council will award 1,000 € to the Winning Tapa. 8 pm, Plaza ABC. Cabaret Night with Marivi Rodríguez and Claudia Ramírez “La Marivilla”. 10pm, Villa Street: Tribute to ABBA. Voulez Vous – The Ultimate ABBA Show. Prize: The couple that comes best dressed as any member of the Swedish group, will be presented with a night at the hotel AD in Seville, courtesy of Halcón Viajes, and a session in the hyperbaric chamber at the Hyperbaric Medical Center of Estepona HMCE. From 10 am to 2 pm, Plaza Antonia Guerrero. II National Chess Open City “Estepona Live their Streets”. Categories Smurfs and Sub-8, sub-10-12-14, 16 Seniors and +65. From 12 noon. to 6 pm, at Plaza Augusto Suárez de Figueroa. Grand Children’s Party “The Sport Festival”, with bouncy castles, workshops, entertainers, photocall, show, and more. Prize: The first 50 children wearing sports equipment will be presented with a Burger King menu. 1 pm, Orchid House: Songs from Spanish Cinema performed by students of the Ana Fargas “El Patio Learn to Sing” Group. 2 pm, Historical Town Centre. The 10th Tapas Route continues. 5 pm, Plaza Antonia Guerrero. The Aguinaldo returns this spring with the Gymkhana 40. Sign up on Facebook of the radio station Los 40 Costa del Sol and participate in a macro gymkhana through the historic town centre Follow the tracks on your radio: Los 40 Costa del Sol 93.3 FM. Prize: A lot of prizes await you. 8 pm, 8.30 pm, 9 pm and 9.30 pm, in the Plaza del Reloj, Video Mapping: recreation of the classic story of Peter Pan. (Four passes of 15 minutes). 9 pm, Plazoleta Ortiz: Concert with “The Harlettes”, soul, funky, burlesque and bigband blue. 10 pm, Plaza del Diario ABC. “Siempre Así ” in Concert. From 10 am to 12 noon, La Rada Beach, in front of Plazoleta Ortiz: Ride in a static balloon. Scan the QR code on the programme and register to get your ticket to ride a static balloon and enjoy a unique experience. From 12 noon to 10 pm, Palace de Congresos. VI Expotatoo Estepona. From 12 noon to 2 pm, C / Real. IX National Ham Cutters Contest ‘Trophy Popi’. 12.30 pm, Orchid House Botanical Gardens: Kristall Zirkus Show. Spectacular numbers of balances, aerial acts, juggling and acrobatics with “Kristall Zirkus”. 1 pm, Plaza del Reloj: Concert and Dance with the Municipal Band of Estepona, to the rhythm of “Pasodobles”. Prize: The best dance couple will receive four tickets for the Musical “The Addams Family’ at the Felipe VI Auditorium (Summer 2019). 2 pm, Historical Town Centre. The X Tapas Route continues. Prize: Choose the Best Tapa and entre in the prize draw. You can deposit your selection at the Tourist Office in the Plaza de las Flores up until 2 pm on Monday 1 April. The Town Council will award 1,000 € to the Winning Tapa. 6 pm, Casa de Las Tejerinas. “Concierto de La Flor” by the García Fajer Foundation, with Irina Yonkova on viola.